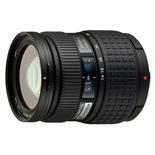 The high-quality ZUIKO DIGITAL 14-54mm 1:2.8-3.5 zoom offers an equivalent range of 28-108mm on a 35mm film camera. This bright all-round zoom lens offers both wide angle and short telephoto, making it the ideal basic lens. Its strong light gathering power makes it ideal for shooting in low light.